Trying to find the best 3G operator is like trying to find Nirvana. More so when the price war between the operators have ended and there’s little or no difference in the quality of service these carriers offer. I have been dependent on Vodafone’s 3G service in Mumbai circle for a very long time. However, it’s getting frustrating when it switches to edge while commuting in local trains where I spend more or less 3.5 hours a day. Now I don’t mind if the speed lowers to edge, but the Edge connection on Vodafone is such that it literally takes 10 minutes to just open up a page, which is again frustrating and more of a reason for fights in the ladies compartment. Hence, I recently decided to make a switch. Over the last few quarters, we have seen heck loads of consolidation in the telecom market making it easier for carriers to offer little to nothing innovation when it comes to pricing. 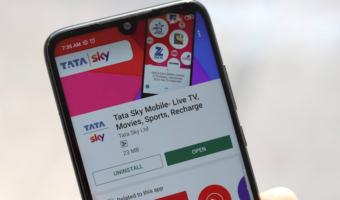 I tried to collect and analyze 1GB 3G data plans in Mumbai offered by all the telecom operators in Mumbai circle. 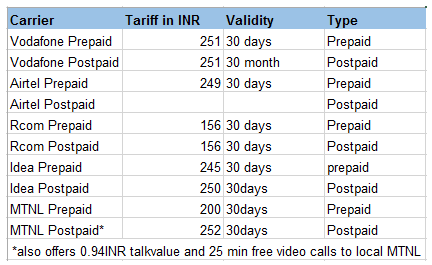 Most of the operators offer same rates for 1GB 3G, be it postpaid or prepaid. Only RCOM seems to offer somewhat inexpensive 3G data. 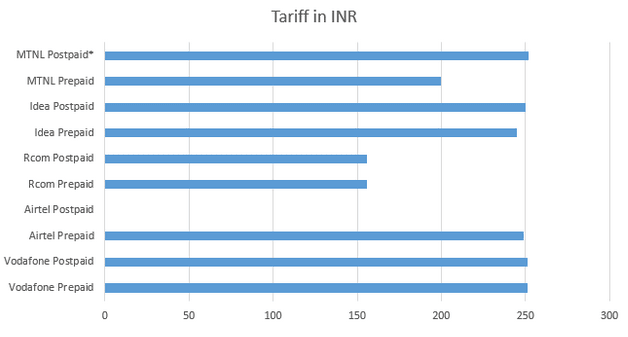 While all operators offer similar 3G tariff on both, prepaid & postpaid connections, Idea seems to punish postpaid customers. Quite idiotic! MTNL does it right by favoring its postpaid users who are committed to them for a longer. 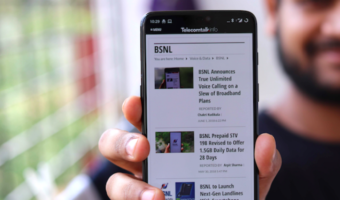 For now I have shifted from my postpaid Vodafone connection to prepaid, which is again a horrific experience with the kind of customer service it provides, but that’s for another topic, and have got an extra prepaid RCOM connection. I’ve previously had a very horrible experience where Airtel charged me outrageous amount of money accidentally clicking on banner ads on my touchscreen mobile. Considering Airtel again was out of question as it tries in engage in unethical tactics to charge users. I was previously with Idea for few months, until DoT decided that carriers shouldn’t be allowed to share their 3G network among themselves. At that time Ideas was sharing Vodafone’s 3G data service to offer to its users. While I’m not aware of whether it still share’s Vodafone’s 3G service, but my gut feeling says that it does, which means I would be getting back on Vodafone’s network. I eliminated MTNL for the sole reason that I have to visit MTNL’s office to a SIM card, and I wanted some quick process to get a new SIM. Do share which carrier you are using for 3G data in Mumbai. The problem is other services are even worse than vodafone.